If you Google search “text neck,” you might find a bunch of news articles and a few chiropractic websites that sensationalize it as an “epidemic” or that it leads to back pain. Chances are, this could be a marketing and sales tool for some medical and fitness professionals to get you into buying their services to “treat” the problem when there probably isn’t much of a problem to begin with. Many research in the last 10 years show a weak correlation between posture and pain. Specifically, numerous research show that people with normal or abnormal curvature have pain or nopain, as cited in this story by TellUs Digest, and there is no significant difference between the two. Science writer Paul Ingraham of PainScience.com gave an example of an old man with a hunched posture may have spinal stenosis or some other kind of spine disease. If he were to stand and walk upright, it may cause him much more pain. In fact, this example is analogous to a Danish study from Aalborg University published in Journal of Pain in 2011 showed that pain can cause postural changes. In a more recent study published in The Clinical Journal of Pain, researchers from the same university also found that pain causes movement restriction of the hips during an active straight leg raise (ASLR). Pain can cause “poor posture,” not always the other around. Therefore, some people with the forward head posture, hunched shoulders, and other “postural dysfunction” may be an adaptation to avoid pain. Text-neck proponents also fail to consider that the human body can adapt to a wide range of positions and movements that can increase pain tolerance. As long as your brain and the rest of your nervous system do not see certain positions as a threat to your being, the pain signals may be very low. 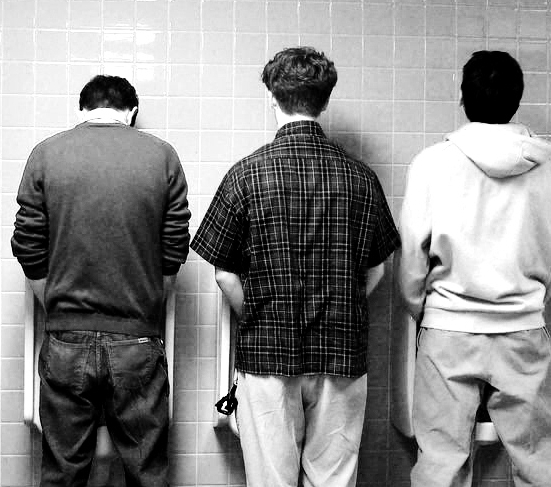 Text neck can also help men aim better — a necessity. Of course, any position that is held for too long – including the “military” posture – can cause pain. Try standing with your head held in a neutral position for 10 minutes like a Buckingham Palace Guard and see what happens. Your body is made to move in a wide range of positions, not in any one position for a long time. Therefore, text neck is not a big concern. 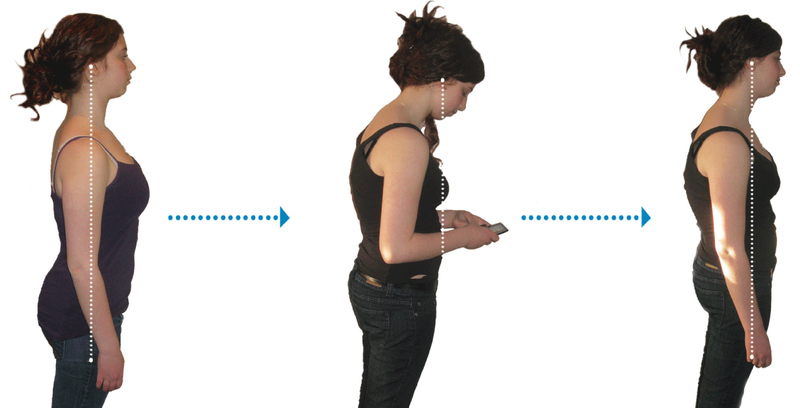 This entry was posted in Health and tagged Back pain, Ben Cormack, Cor-Kinetic, Journal of Pain, neck pain, PainScience.com, Paul Ingraham, posture, TellUs Digest, text neck, texting by movementpotential. Bookmark the permalink.